In honor of this season of giving, last week I highlighted the many ways Imagine! employees go way beyond their daily duties to support Imagine! and the people we serve. Today, I’d like to highlight a few ways in which some wonderful local businesses raised money for Imagine! this past summer and fall. 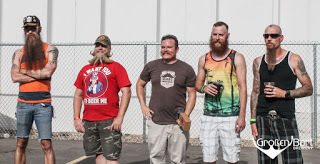 On July 23, Grossen Bart Brewery hosted “The Mane Event” – The Grossen Bart Brewery Annual Beard and Mustache Contest. While that sounds cool to begin with, this part was even cooler - a portion of proceeds from the event ($200) were donated to Imagine! to support Imagine!’s Innovations Advocacy Council’s Fall Formal. On August 8, Next Door Boulder donated 50% of sales to Imagine! from participating tables, which netted a total of $375. On September 12, Samples World Bistro donated 30% of their dinner sales to support Imagine!’s mission of creating a world of opportunity for all abilities. The event was a huge success, bringing in $400! 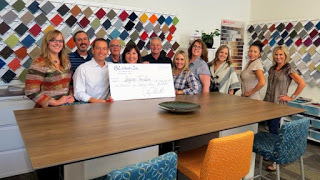 During the week of September 23-30, the good folks at BCinteriors pledged to dedicate a portion of the proceeds from their Inventory Clearance Sale to Imagine!. 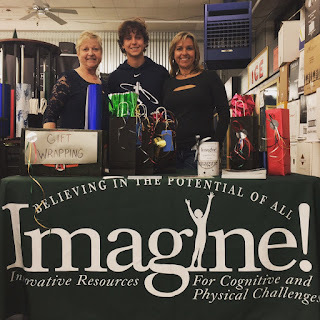 Sale purchases resulted in a donation of $2,500 to Imagine!. 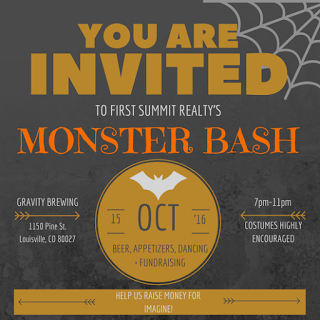 On October 15, First Summit Realty hosted a Halloween “Monster Bash,” and encouraged attendees to donate to Imagine!. The encouragement must have worked, as we received $1,500! On October 22, ALEX AND ANI donated 15% of sales during their “Charmed By Charity Soiree” to Imagine!, which resulted in a $200 donation. And on December 10, our good friends at MOOV completed their 2nd annual Kettlebells for Christmas fundraiser for Imagine!. 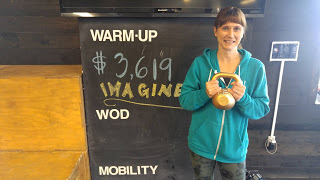 After two hours and over 6,000 kettlebell swings, they were able to collect $3,619 in pledges to support Imagine!’s mission of creating a world of opportunity for all abilities! We are so fortunate to work in a community that supports our mission and the people we serve in so many fun and creative ways. And here’s a cool bonus demonstration of our wonderful community’s support. 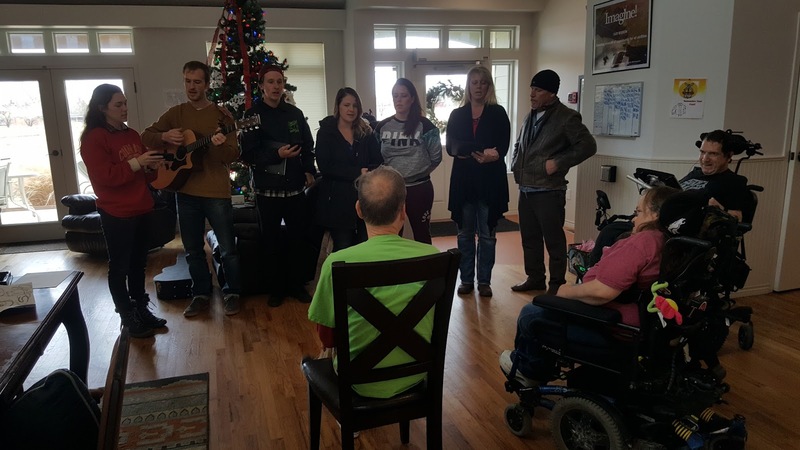 The picture below is of local neighborhood carolers singing Holiday tunes last week for the residents of Imagine!’s Santa Fe Group Home in Broomfield. Imagine!’s CORE/Labor Source department hosts a weekly “Friday Communication Class.” Recently the class held a unit on money management. 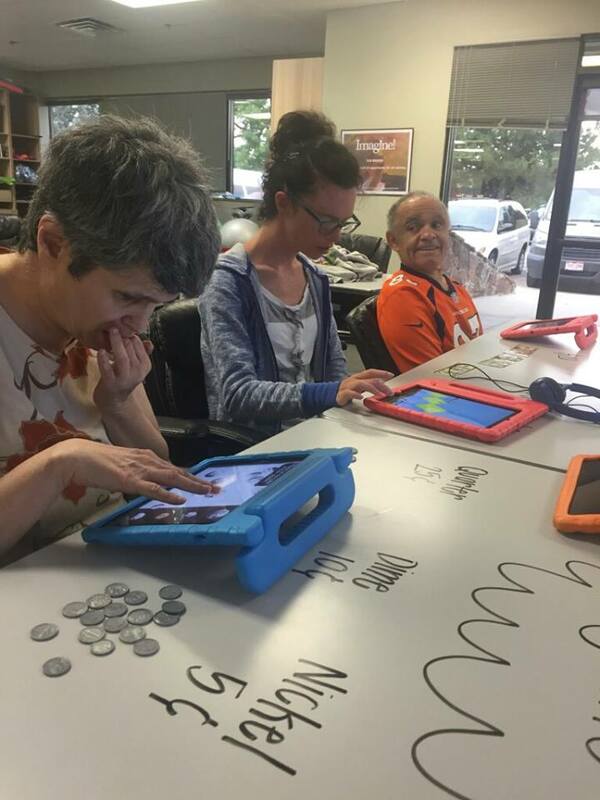 Here, Wendy, Autumn, and Peter are using iPads in combination with plastic money to sort, add, and distinguish currency! It is the season of giving, and today I would like to highlight a group that always gives: Imagine! employees. Even though they already work hard in difficult jobs that don’t always pay well, Imagine! employees never fail to step up and help out in other ways. Below are just a few recent examples. This year’s Imagine! Holiday Gift Giving Program was a huge success! 365 children and 110 adults received gifts thanks to many generous supporters. Imagine! employees led the way in donating, volunteering, and helping to organize the event. Check out the video below to learn more. Here’s another fun example of the generosity of Imagine! employees: thanks to a growing number of employees (77 now!) 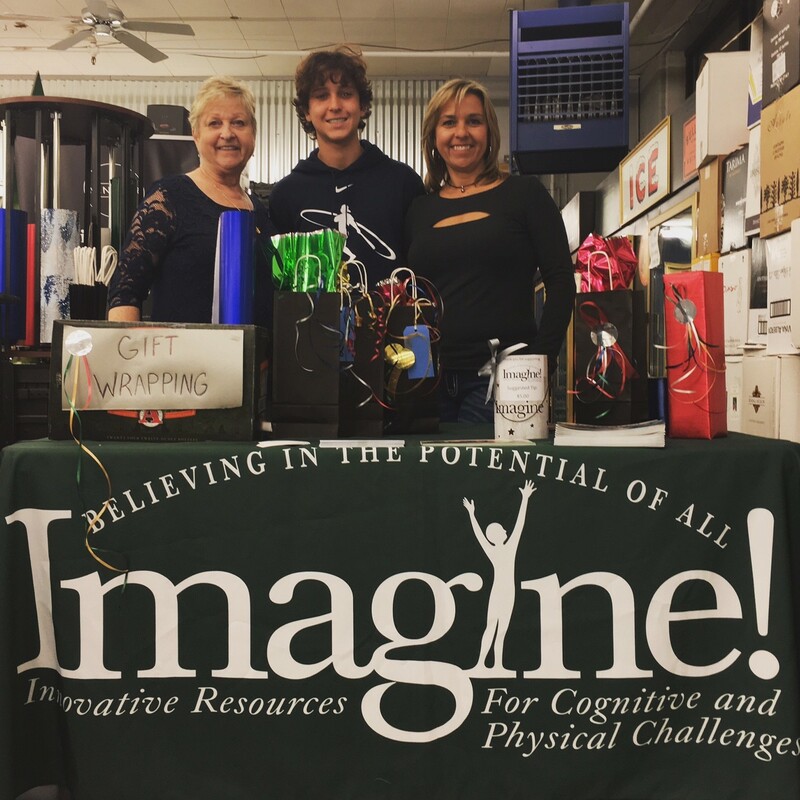 participating in this year’s employee giving campaign through regular payroll deduction, Imagine!’s Behavioral Health Services (IBHS) has been able to provide meaningful social skills trainings to kids, adolescents, and young adults. Imagine! employees contributed close to $8,000.00 to help support social skills training for this fiscal year! You can view the video below to learn more about this exciting program. Over the summer, IBHS hosted two social skills sessions that met once per week for two hours over a four-week period. Each session was broken down into three age groups; kids ages 3-7, adolescents ages 7-14, and young adults ages 14-18. Over the course of these sessions, IBHS hosted 21 individuals. All participants had the opportunity to partake in play schemes that facilitated attending and orienting themselves toward a play partner, eye contact, waiting and sharing skills, and opportunities for natural interactions with other group participants and typical peers. And finally, over the past few days, several groups of Imagine! employees have donated their time to wrap gifts for donations at Liquor Mart. Thanks to those employees who volunteered and to Liquor Mart for their support of our mission. Check out a couple of pictures of employee (and other) volunteers below. Last month, Imagine!’s Greg Wellems attended the invite-only White House Disability & Inclusive Technology Summit. Greg was one of the only service provider representatives to be included in the event. 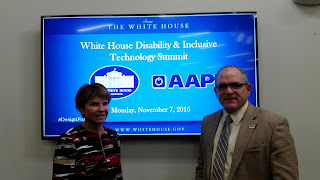 Also attending was Cathy Bodine, Executive Director of Assistive Technology Partners and a member of Imagine! Board of Directors. This is another exciting example of Imagine! being at the epicenter of the exploration of how technology can improve the lives of individuals with a variety of disabilities. 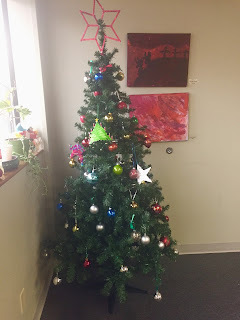 The Holiday spirit is alive and well at Imagine!. This past week we’ve had office decoration contests and dessert making contests, and every part of Imagine! seems to be fully embracing the season. Pictures below include celebrations from our Case Management team, our Innovations team, our Santa Fe Group home, our Charles Family SmartHome, and our CORE/Labor Source team. And yes, there are a lot of pictures, but there’s a lot of Holiday spirit to share. I hope you enjoy the pictures and I hope you have a wonderful holiday season! Today, I’d like to share a very meaningful document produced by Alliance, a nonprofit, Colorado-wide association of Community Centered Boards (CCBs) and Program Approved Service Agencies (PASAs) that is dedicated to strengthening services and supports for individuals with intellectual and developmental disabilities (I/DD). The document, entitled “A Perfect Storm for I/DD Service Providers,” looks at how insufficient rates, challenging economic realities, and new regulations are putting unprecedented pressures on Colorado’s already strained system of services for people with I/DD. It is an eye-opening and vital read for anyone concerned with the future of services in our state, and I strongly encourage my blog readers to examine it thoroughly. Here’s a great example of how technology can increase an individual’s independence, even if the person has significant disabilities. In the two videos below, Gerald, who lives in Imagine!’s Santa Fe Group Home, can be seen controlling a can opener and a coffee grinder using nothing more than simple hand switch and a PowerLink module. I’ve said it many times, but it bears repeating: Imagine! is fortunate to be have so many generous supporters who help us in a variety of ways in creating a world of opportunity for all abilities. Today, I’d like to share just a few recent/upcoming examples of that generosity. Some people support Imagine! by digging into their wallets to provide financial assistance. As I mentioned earlier this week, Colorado Gives Day was Tuesday, and I am so thankful to our wonderful donors! 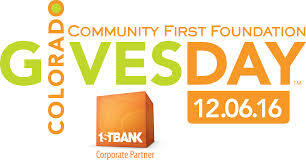 On that day of giving, Imagine! received 140 donations totaling $28,570! This total doesn’t include Imagine!’s portion of the incentive fund, meaning Tuesday’s gifts will go even further in supporting the potential of all. While some people support us with their checkbooks, others do it with their muscles! MOOV is hosting its Second Annual Kettlebell Swing-a-Thon tomorrow, Dec. 10, 2016, to raise money for Imagine! in this fun and challenging way. Last year they raised over $4,150 for Imagine!, and you are encouraged to help them reach their goal this year. Learn more and sign up to participate here. So we’ve got checkbooks and muscles covered, but here’s one more way our community supports us: with their brains. We’ve always been fortunate to have University of Colorado administrators, professors, and students who support our mission. I already shared a blog post this week about the latest round of assistive technology projects created by CU Engineering students (if you missed it, it is well worth it just to see some of the pictures). And then, on Thursday, a group of CU Leadership Studies students gave their Leadership Challenge presentations to an audience of community partners. The Leadership Challenge is the “capstone” experience for students completing the Leadership Studies Minor (LSM) at CU. Students work in teams to understand the work of partner organizations, identify a leadership challenge facing an organization (with guidance from the organization), and propose a strategic plan to address that challenge. These challenges are authentic, meaning that they represent real goals or challenges organizations face. Students Tyler Chittick, Gianna Fitzsimmons, and Lauren Huggins worked over the course of the semester on ways of improving communications between Direct Support Professionals and Certified Therapeutic Recreation Specialists working at Imagine!’s Out & About department in order to improve the quality and effectiveness of their services. The trio offered fresh insight and workable, sustainable solutions, and we were so happy to be able to benefit from their hard work and thoughtful input. A group of University of Colorado students in Professor Melinda Piket-May's Fall 2016 Engineering class worked on adaptive equipment projects for individuals served by Imagine!. We have worked with Professor Piket-May on projects like this for more than seven years, and are always delighted by the results. This year’s class demonstrated their projects this past Saturday, and below are some photos and descriptions of some of them. Two student groups created Wheelchair Umbrella Attachments. These were designed to be attached to wheelchairs and easily opened and closed, protecting individuals who use wheelchairs for mobility from inclement weather, therefore increasing their independence. Learn about how one such umbrella attachment has worked for an individual served by Imagine!. Another student group created a Can Hole Punch. This one take a little explanation. Our good friends at Oskar Blues Brewery provide employment for individuals served by Imagine! who make Oskar Blues “Can Bling” – necklaces with a beer can with the top removed for use at events such as beer festivals. This can hole punch ensures that the cans don’t have sharp edges to protect the folks creating the bling, and can assist those with poor motor skills in threading the beads in to the can. Another student group created a “Laser Harp,” which uses lasers that can be “plucked” to make musical notes. The laser beams can be calibrated for people with different range of motions, so even those with limited range of motion can create their own music. It is a great tool for range of motion exercises and for making music more accessible. In the darker picture below, the lasers are seen through the green smoke. Below you will see the student group project “The Runner,” which is a walker designed to remain stable during more intense exercise. This is great for physical therapy and to allow people who use walkers for mobility to increase their options and make greater strides toward not needing the walker at all. One student group worked on a project they called the “Helping Hand.” This was designed specifically for individuals who struggle with tremors, making the use of finger controlled smart devices such as iPads challenging. The Helping Hand was created to stabilize the person’s hand, making it easier to use the device independently despite the tremors. And finally, the group pictured below created a Foldable Communication Device Arm. This was designed to be attached to a wheelchair and to hold heavy communication device. It is easily foldable so it can be put out of the way when not in use. As always, we thank all of the students for their time, their efforts, and for their role in creating a world of opportunity for all abilities. And of course, we thank CU Professor Piket-May for this ongoing and very beneficial collaboration.